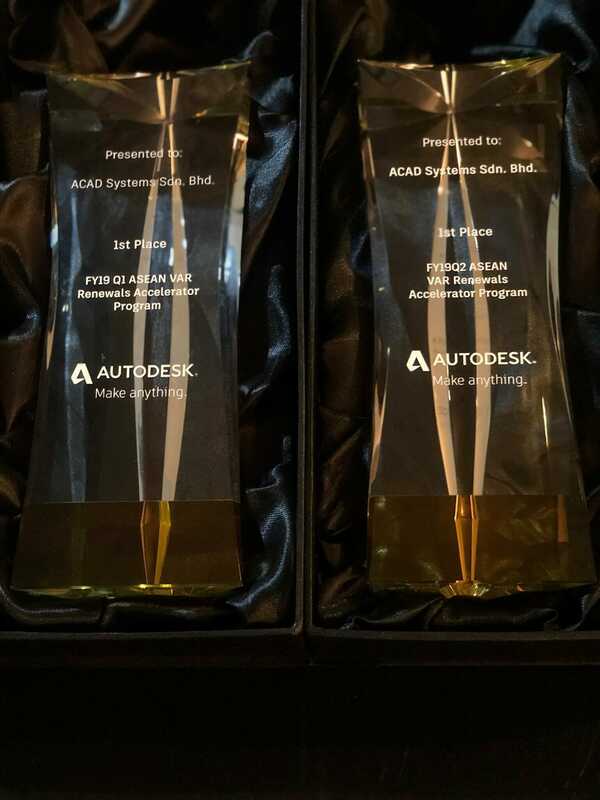 Why Choose Acad Systems ? 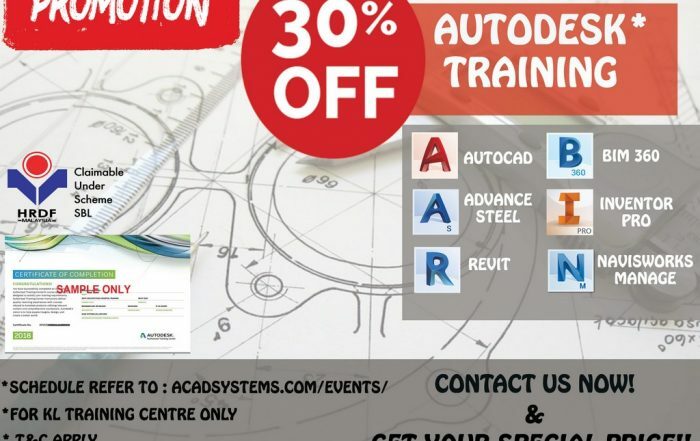 Acad Systems Malaysia is a leader in CAD solutions and training in Kuala Lumpur and Penang. 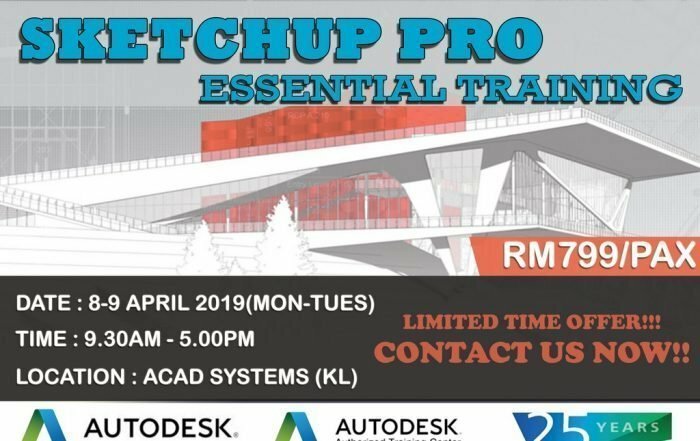 We have been selling, training and supporting AutoDesk products in Malaysia since 1993 and have one of the largest customer base of any company in the market. 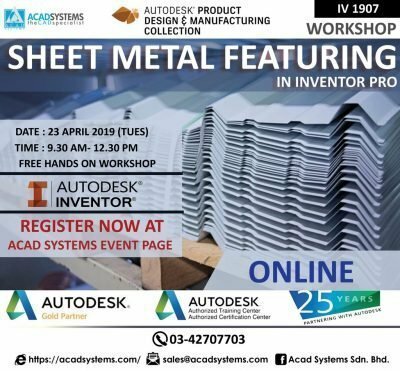 We carry the full range of Autodesk products like AutoCAD, Inventor, Revit, Vault, Navisworks, Plant 3D, Civil 3D, 3DS Max, AEC collection, Product Design Collection and many more. 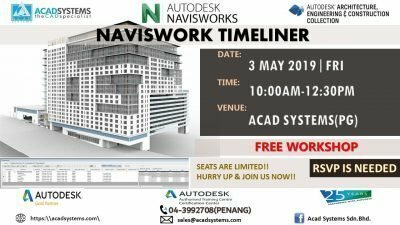 Acad Systems with a paid up capital of RM500,000.00 is authorized by Autodesk as a Gold Partner as well as an Authorized Training and Certification Center. 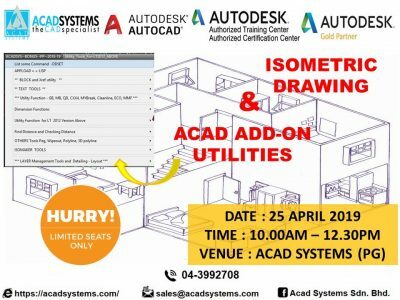 We have also obtained Autodesk’s specialization in both Design & Manufacturing, and Architectural, Engineering & Construction (AEC). 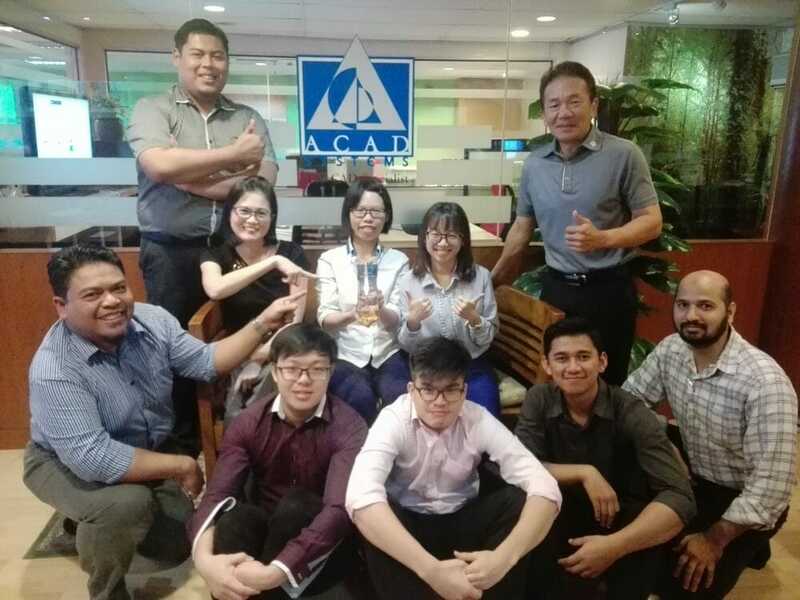 When you buy from Acad Systems, you can have a choice of workstation class computers from Hewlett Packard and Dell to suit your budget. 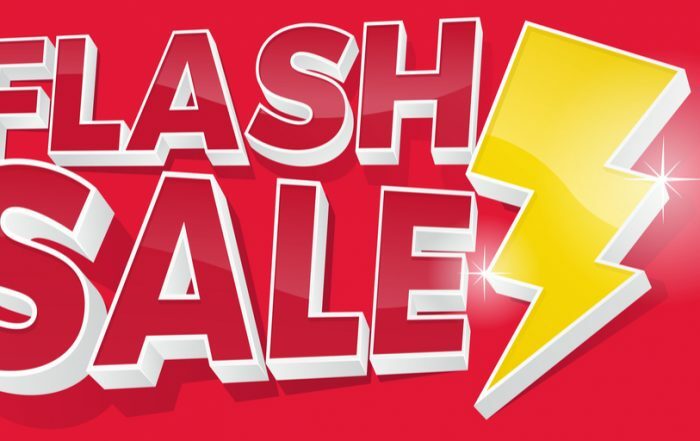 Other common software from Adobe and Microsoft can also be purchased from us to offer convenience to you. 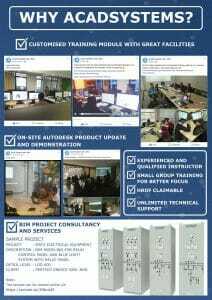 New to 2017 in our website is our https secured online eStore where you can purchase our products at your convenience, and a Helpdesk system. With our Helpdesk ticket, you can create, follow up and track your queries and responses on technical support or sales issues at any time. 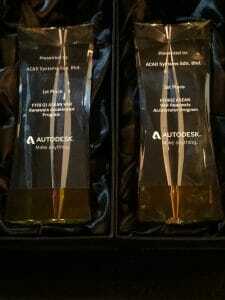 Eighty percent of Autodesk support calls are installation and license related. 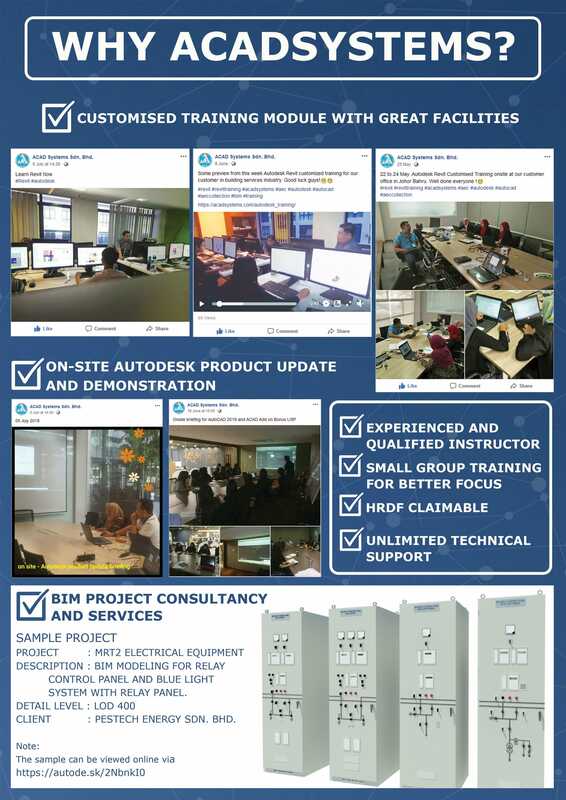 In our Helpdesk system, we incorporated a Frequently Asked Question FAQ section on these issues to help you. 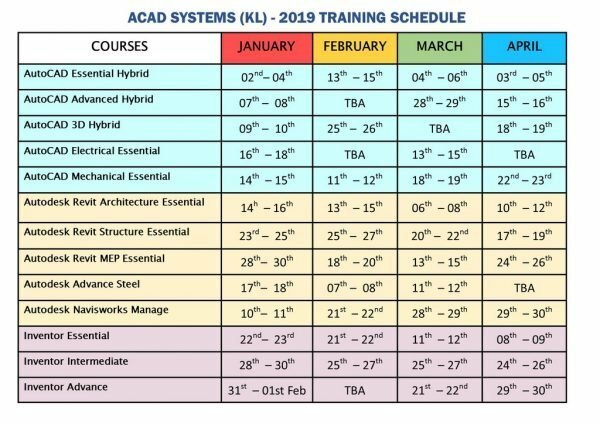 Acad Systems’ offerings are Practical, Functional and Competitively Priced. Our business philosophy of Integrity, Honesty and Trust has been our guiding principle since day one. We do not compromise our customer’s confidentiality for short term gains. 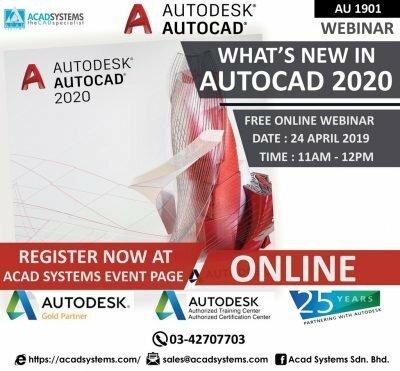 New AutoCAD 2020 is now available!